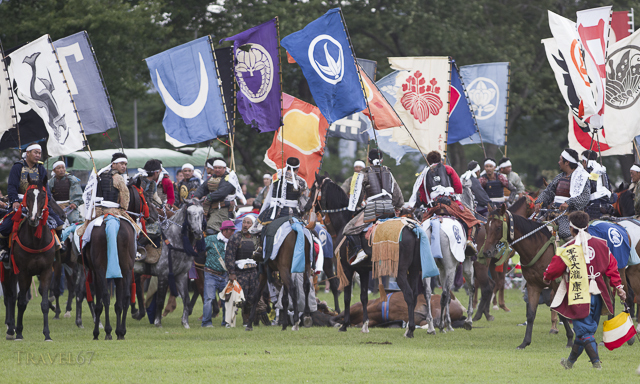 As explained in the previous Soma Nomaoi blog, banners float down from the sky and riders who catch them win prizes. Obviously catching them inflight is the preferred method, which is why the men have canes with which to grab the banners. However, if the banner makes it to the floor, the brave will spring from their steed and, surrounded by galloping horses, make a grab for the banner. Dozens of horses, ridden by men gazing skywards, all hurtling towards the same place. 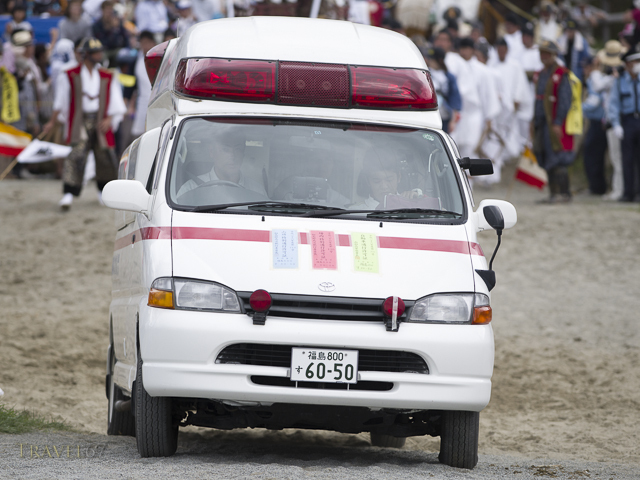 Ambulances are on standby. On two occasions horses were knocked to the ground, each time the rider’s leg was pinned beneath the horse’s flank. 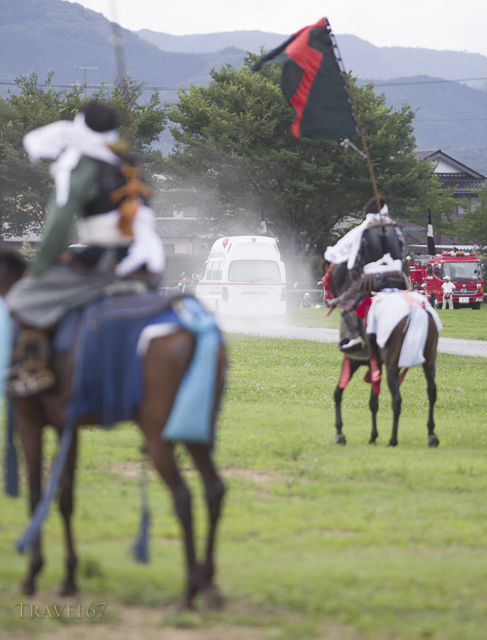 Eventually the horses got back to their feet, but in both cases the rider was taken off to hospital to get checked out. 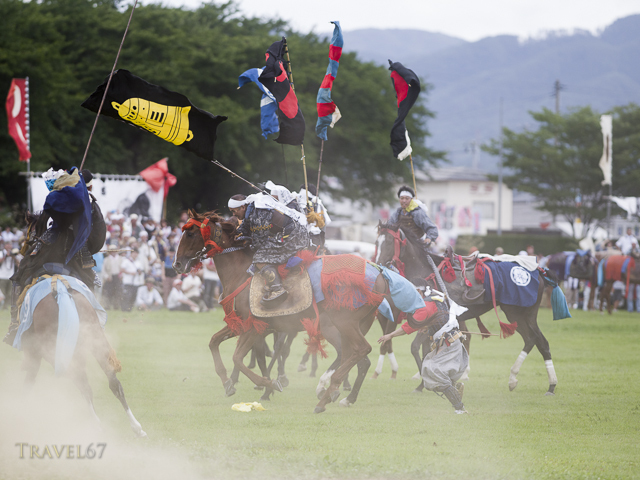 Along with Suwa’s Onbashira Festival, Soma Nomaoi is a spectacular festival that celebrates bravery and the samurai spirit.